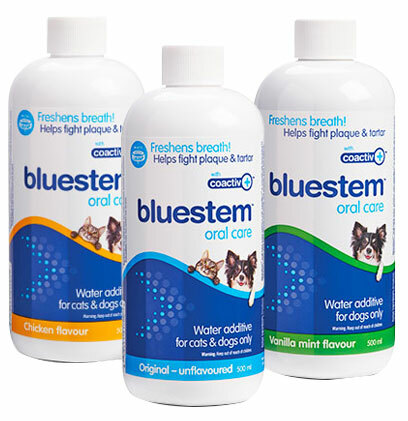 All bluestem™ products are scientifically formulated with our patent-pending coactiv+™ technology. Coactiv+ is a unique formulation of food-grade ingredients that breakdown biofilm, where harmful bacteria multiply. 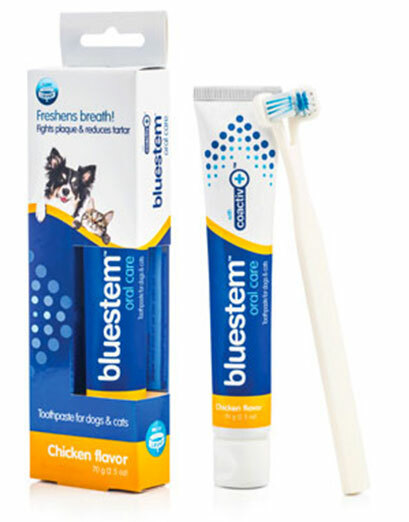 With one of the most comprehensive lineups of oral care products on the market, Bluestem makes it easy to choose an oral care product that not only works for your pet, but your lifestyle as well. 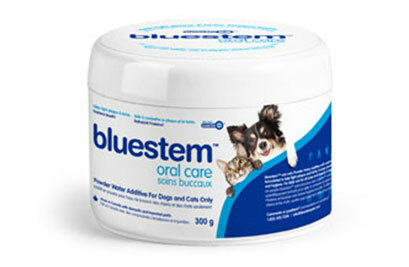 Good oral care for pets isn’t any different than it is for people. It needs to be done on a daily basis because neglecting it over a long period of time can quickly become very expensive. 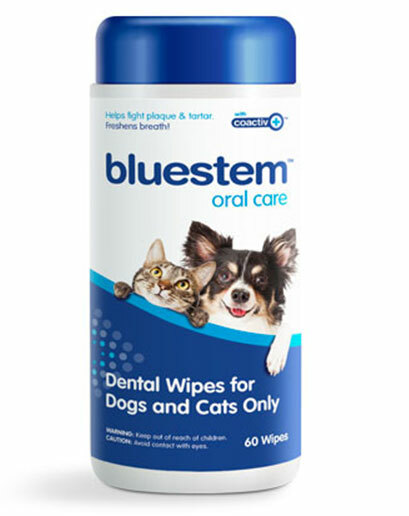 According to the American Veterinary Medical Association 80% of dogs and 70% of cats will show some stage of gum disease by two years of age. What is the primary cause of periodontal disease? Plaque and tartar buildup. When plaque is not removed from the teeth every 12-36 hours it will begin to bind with minerals in the saliva and calcify into tartar. Excess tartar can work its way up into the gum line causing gingivitis and periodontal disease. 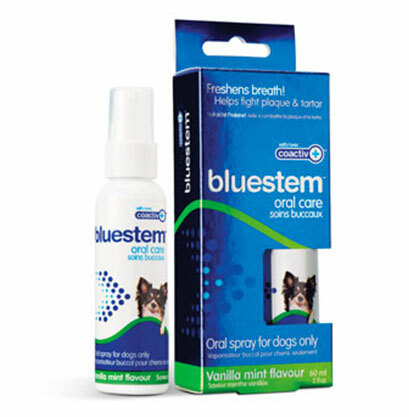 Bad breath is usually the first telltale sign that a pet has underlying oral health issues. So, prevention is key. 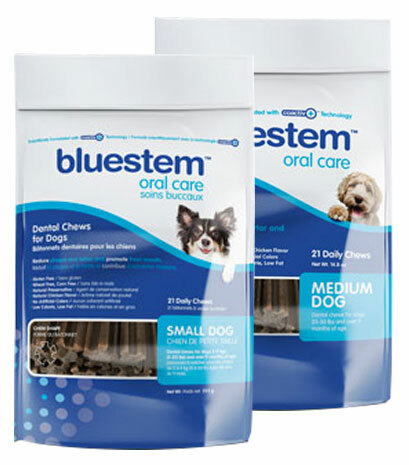 Bluestem’s extensive lineup of products allows you to turn sporadic, good intentions into a successful, daily oral care routine for your pet. For dogs only – Small chews for dogs 5-20 lbs, Medium chews for dogs 20-50 lbs.